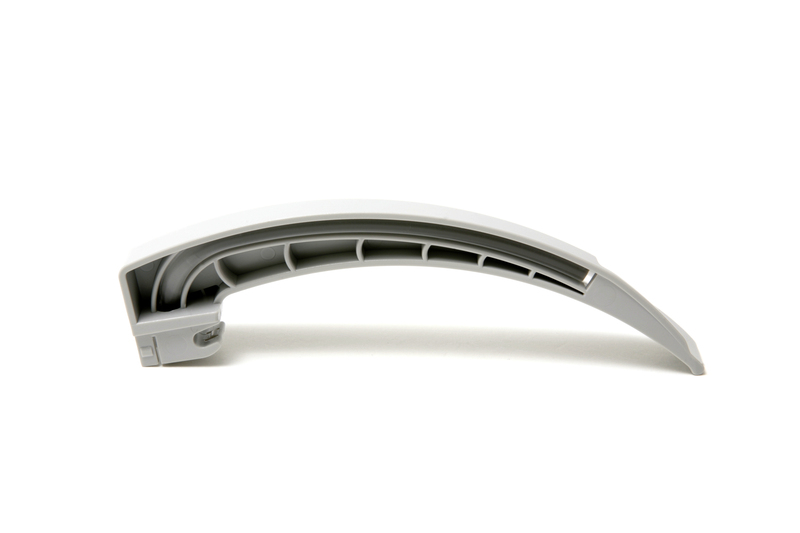 The Macintosh laryngoscope – is there a pretender to the crown? Over 70 years after Sir R R Macintosh first described it in his landmark study published in The Lancet in 1943, the Macintosh laryngoscope remains universally popular. The dominant position of the Macintosh cannot be attributed to a lack of alternatives. Dorsch and Dorsch, in their huge 1,000+ page book, Understanding anesthesia equipment, list over 45 types of laryngoscope blade. Although some of these are described as modifications of the Macintosh, including the Oxiport Macintosh, Polio, Fink, Tull Macintosh, Bizarri-Giuffrida, Upsher Low Profile, Upsher ULX Macintosh, Improved vision Macintosh and the Left handed Macintosh, the list of alternatives also includes a significant number of other designs, including the Wisconsin, Schapira, Soper, Guedel, Bennett, Seward, Phillips, Alberts, Robertshaw and the Bainton. This list is not exhaustive. If you don’t have easy access to a copy of Dorsch & Dorsch, an extract is included in Annex D of the international standard, ISO 7376:2009: Anaesthetic and respiratory equipment – Laryngoscopes for tracheal intubation. In current practice, the two major types of Macintosh blade are generally considered to be the American, also called the ‘standard’, and the English, sometimes known as the ‘classic’ or ‘e-type’. The latter description is a particular favourite, conjuring up the image of the classic E-Type Jaguar, once described by Enzo Ferrari as, ‘The most beautiful car ever made’. Such a comparison may seem a little tenuous, but surely they can both be considered design classics? Probably the closest rival to the Macintosh in terms of popularity is the Miller blade. Described two years earlier than the Macintosh, the 1941 paper by Miller in Anesthesiology and simply entitled, ‘A new laryngoscope’, described a straight blade which when compared to an ‘old style medium sized blade’, was ’rounded on the bottom, smaller at the tip, and has an extra curve beginning about two inches from the end. The internal diameter of the base is shallow, but adequate to permit the passage of a 38 catheter.’ This landmark study is free to access on the Anesthesiology web-site. Miller also described a modification of his adult laryngoscope for children in 1946, ‘A new laryngoscope for intubation of infants’, Anesthesiology. 7(2):205, March 1946. This paper is also free to access. The Miller blade remains popular for children, with straight blades in general having been described as ‘superior in elevating the tongue, removing it from the field of view to facilitate a better visualization of the infant larynx than the curved blade laryngoscope’. Doherty JS et al, 2009. Pediatric Anesthesia, 19: 30–37. Given the huge variety of options available, why is the popularity of the Macintosh so enduring? Scott and Baker provide some answers in their 2009 review article, How did the Macintosh laryngoscope become so popular? 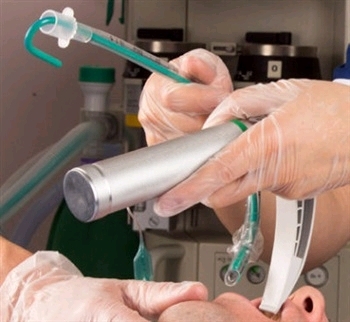 In a very informative and entertaining article, the authors, New Zealanders like Macintosh, suggest that poor straight blade laryngoscopy technique prior to the widespread use of muscle relaxants, commercial availability, Macintosh’s connections in the industrial sector and unprecedented influence on the development of anaesthesia, as key factors in the success of the Macintosh blade that can be traced back to ‘prevailing circumstances’ in the 1940s. They conclude that, ‘Despite being able to achieve superior laryngoscopy with paraglossal straight blade technique and the multiple alternatives available, the Macintosh laryngoscope remains ubiquitous and is regarded as the gold standard of direct laryngoscopy’. Jephcott’s prediction was correct. Since his article in 1984, the Macintosh blade has also survived translation in to single use metal blades and is incorporated in to the design of a number of video laryngoscopes. The Macintosh blade remains the dominant blade for direct laryngoscopy in the 21st century, with no obvious pretender to the crown.